No fortress can protect against human corruption, not even the Svalbard Global Seed Vault. Hewn out of a frozen mountain six hundred miles from the North Pole, the Svalbard Global Seed Vault was designed to safeguard the earth's precious collection of diverse plant seeds from rising sea levels, hurtling asteroids, nuclear holocaust, and every other conceivable disaster. But no fortress, however remote or carefully constructed, can protect against human corruption and those who have made it their business to gain control of the world's food supply. 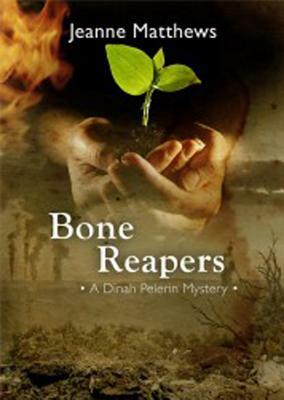 When Dinah Pelerin left sunny Hawaii on an undercover fact-finding mission to the seed vault in Longyearbyen, Norway, she had no idea that she would get a crash course in the politics of genetic engineering, that she would become embroiled in the marital troubles of an American presidential candidate and his enigmatic, Norwegian-born wife, or that a dead body would tumble out of the hotel sauna into her arms. In late December, the polar night wraps around the little town of Longyearbyen like a lead blanket, impenetrable and endless. The temperature rarely climbs above zero, and bodies don't decompose in the permafrost. The dead have to be shipped south for burial, and soon there are two murder victims headed there. Who has killed them, and why? With three US senators, a powerful corporate CEO, and a Norwegian government minister as her fellow suspects, Dinah is under no illusions about her role. She had better untangle the knot of motives and pretenses fast or suspicion will come crashing down like an avalanche and bury her so deep that she'll never see daylight again.